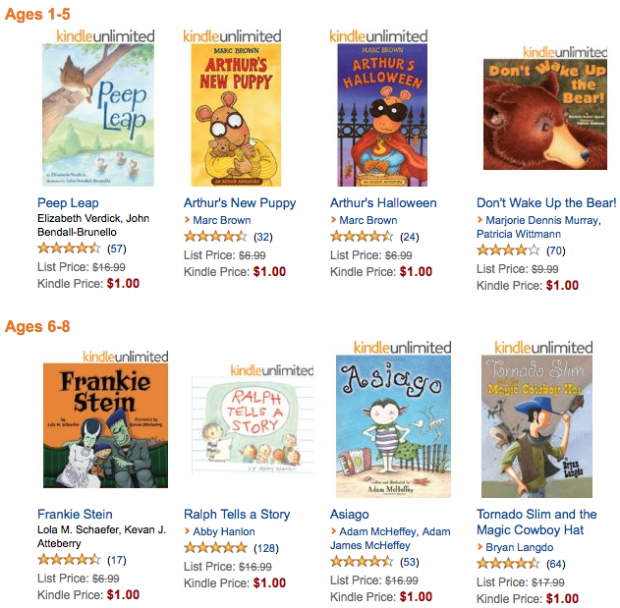 30 Kids' eBooks Only $1 Each! You are here: Home / Great Deals / Amazon Deals / 30 Kids’ eBooks Only $1 Each! 30 Kids’ eBooks Only $1 Each! There is definitely something here for every kid up through 8 years old! Get any of 30 Kids’ eBooks for Only $1 Each! Includes a modern version of Frankenstein (Frankie Stein), cowboy books, shoe books, boot books, even a kids’ cookbook!